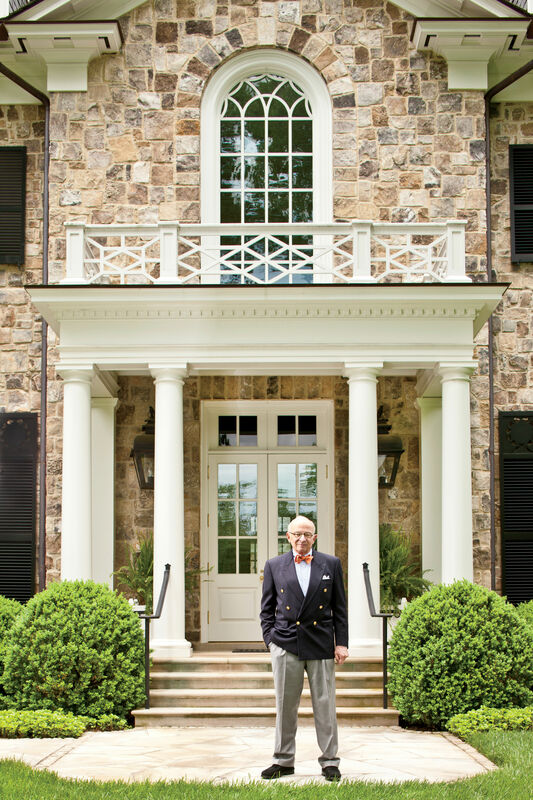 A preservationist and change agent, Virginia-based architect Russell Versaci wrote the book on the new old house and then pioneered a way to put Classical design within reach of more Southerners. "I've spent my career making sure that future generations will understand our rich architectural history," says Russell. He is seated on a Virginia porch he designed with fieldstone arches. A self-proclaimed "architectural tourist," Russell Versaci (russellversaci.com), a New Englander by birth and a Southerner by choice, became enamored of the South and its vernacular styles through trips around the region. "I traveled back roads and byways looking into the attics of Old South architecture," Russell says. After graduating from Yale and the University of Pennsylvania, Russell moved to Washington, D.C., and helped a friend restore a 1789 house in Georgetown. He soon relocated and launched his own practice in Middleburg, Virginia. "It's a great area for traditional architecture," he says. During his Southern expeditions, Russell saw that certain vernacular styles, such as the Virginia Piedmont stone farmhouse and Louisiana Creole cottage, conveyed a deep sense of place on a comfortable, modest scale. Craftsmanship, materials, and climate-friendly design created this effect, which later shaped his principles of the new old house. When he started designing in the early 1980s, bland suburban McMansions were the norm. "The proportions and details were wrong; the materials were poor; and the design had little connection to place, climate, or history," he says. 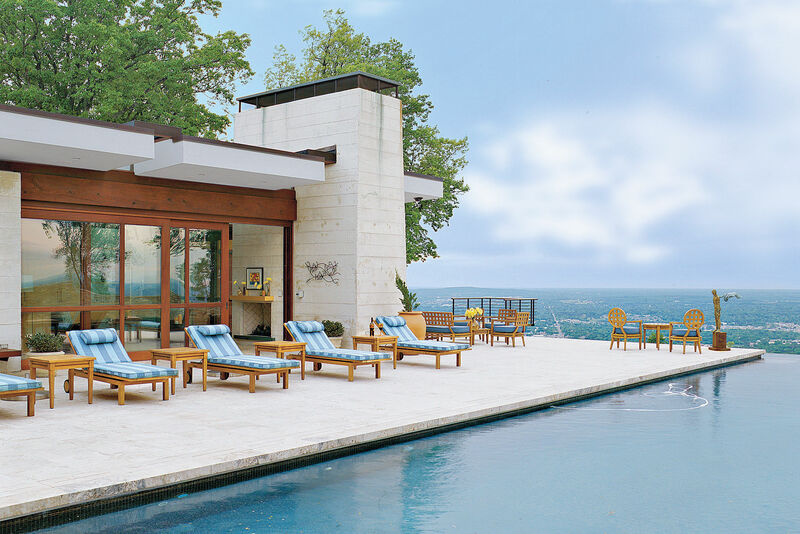 As Russell's firm began receiving commissions for large, estate-style houses, he relied on lessons from the past, designing homes that seem to have grown gradually, suggesting additions that were made over time. He works in authenticity with historically accurate details such as porticos and dormers. Russell also refuses to sacrifice old-world charm for modern-life comforts. In his world, garages resemble historic barns and kitchens feature timber beams. "Back in the day, you had to track down reclaimed materials in salvage yards," he recalls. "It thrilled me to go to those troves of architectural resources." Russell says, "Everyone should be able to own a quality, tradition-based house." And he's helping make that possible today. Taking a cue from old Sears, Roebuck and Co. kit homes, he created his Pennywise House collection. Factory-built and assembled on-site, these homes range from 650 to 3,200 square feet and come in several historically inspired styles.